[235 Pages Report] This report estimates the shale gas processing equipment market, in terms of value. The value of this market is estimated in terms of $million and this has been broken down into geographical regions, and further split into processing components. Shale gas processing equipment are required for processing shale gas before it can be transported by large diameter inter-state or intra-state pipelines for end-use. The increasing shale gas exploration and production activities across the globe are the key drivers for the growth of this market. However, concerns associated with the shale gas exploration such as the ground water contamination by fracking operations will slightly affect growth in this market. However, with growing energy demand and proven domestic shale gas reserves, many countries are now trying to explore shale gas.These developments will result in the market witnessing a higher growth rate in the demand for shale gas processing equipment. We have used various secondary sources such as encyclopedia, directories, and databases to identify and collect information useful for this extensive commercial study. The primary sources–experts from industry and suppliers- have been interviewed for critical information as well as to assess the future prospects of the market. The North American market held the largest share in the global shale gas processing equipment demand in 2013. In North America, the U.S. is the largest market that is expected to continue its influence in the industry. Within RoW,Chinais the leading player, given the exploration and production activities in its abundant shale reserves. The shale gas processing equipment market is segmented into two regions, namely North America, and RoW. The market is further segmented on the basis of major countries in each region. The report also touches on various other important aspects of the market. It includes an analysis of the value-chain, Porter’s Five Forces Analysis, the competitive landscape, and premium insights of the market. We have also profiled the leading players of this industry with their recent developments and other strategic industry activities. These include Cameron (U.S.),Exterran (U.S.),GasTech Engineering Corporation (U.S.), Honeywell UOP (U.S.),Johnson Controls (U.S.), Linde Engineering (Germany), Membrane Technology & Research (U.S.), Newpoint Gas, LP (U.S.), Pall Corporation (U.S.), and Van Gas System (U.S.). Shale gas processing equipment market has been witnessing high growth, due to increase in shale gas exploration and development activities. 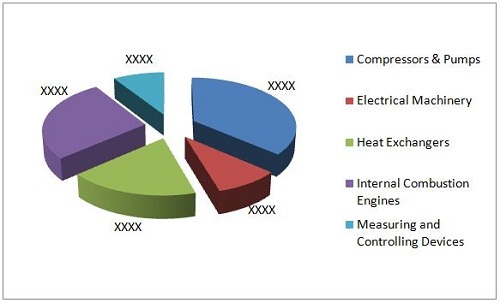 The report categorizes the market, by geography and by component, including Compressors & Pumps, Internal combustion engines, Heat exchangers, Electrical Machinery, Measuring and controlling devices; . The shale gas processing equipment market is estimated to reach about $5,769.9 Million by 2019, signifying a firm growth rate of over 16.3% from 2014-2019. Geographically, the market has been studied for different regions such as North America (U.S. and Canada), and RoW(China and Australia). The U.S. region has been further analyzed in terms of shale and components. The market in terms of value has been evaluated in detail, with respect to major components. The study covers different strategies such as contract agreements, mergers & acquisition, and new product launch, among others. Linde Engineering (Germany),Jhonson Controls (U.S.) and Cameron (U.S.), Exterran (U.S.), Honeywell UOP (U.S.), Pall Corporation (U.S.) are some of the market leaders in terms of growth strategies and shale gas processing equipment supply.